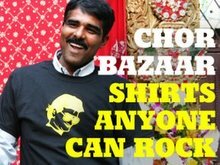 We at Chor Bazaar would like to wish you all a Happy Diwali and New Year! Remember to be safe when lighting all those deeyas (fire lanterns) around your home. Especially if you are in the U.S. where your home is presumably fully carpeted and made out wood. Not a good mix. We have to figure out how to repeal all those anti-fire work laws on Diwali. However, here in New York City we do enjoy the suspension of "Alternate Side of Parking rules", which means that car owners don't have to move their car for street cleaning. Small steps for recognition. Guess who is enjoying Diwali in, India? President Obama!